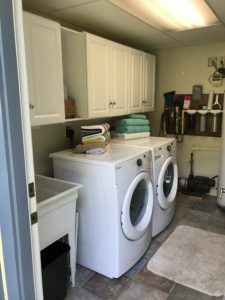 The laundry/utility room is located on the lower level of the house. You can access it either from the lower level master bathroom suite, or the back entry door. 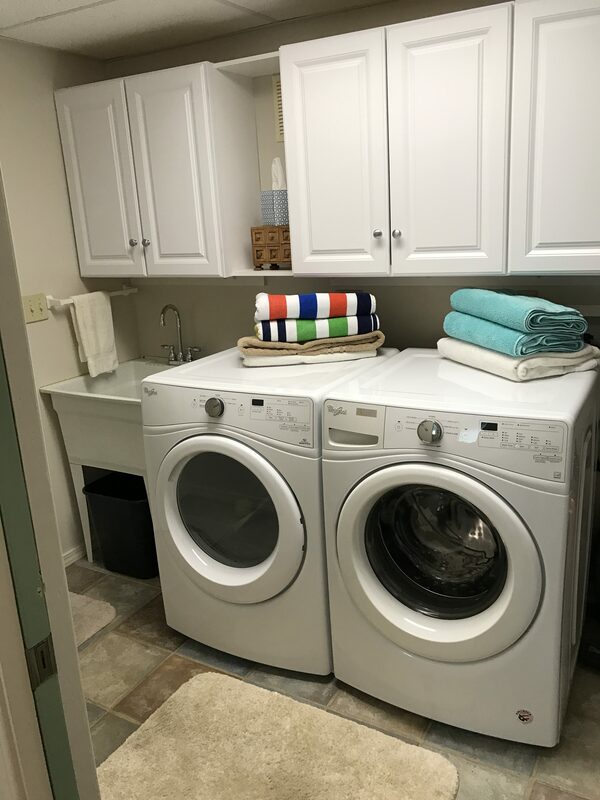 Equipped with a front load Whirlpool washer and dryer. 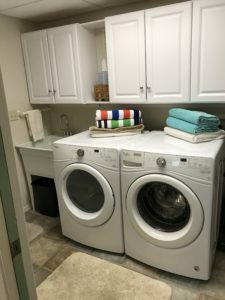 This room also offers a utility sink, iron, ironing board, vacuum, brooms and cupboards with laundry detergent and cleaning supplies. The water filtration, water pump, and hot water heater are also located in this room. A pocket door separates this room from the lower level master bath. Located outside the back door is a clothesline that can be connected to the palm tree to air dry your towels and bathing suits. 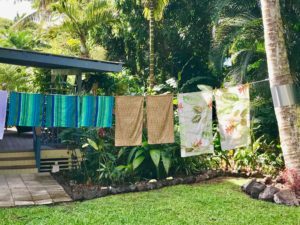 Watch out for falling coconuts over head when hanging your laundry, and please keep the door closed to prevent the geckos from entering the house.